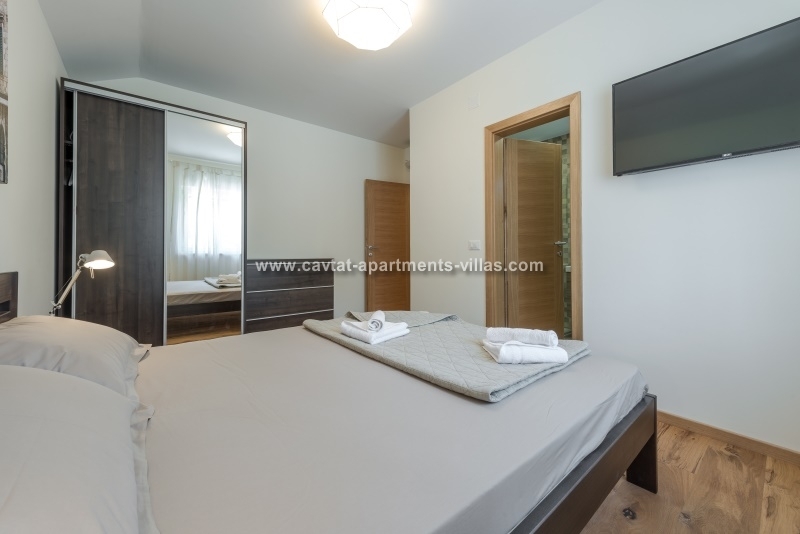 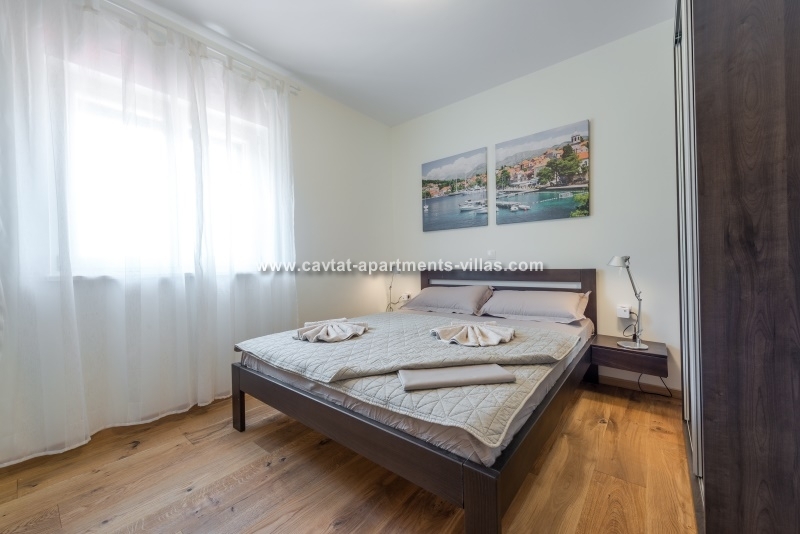 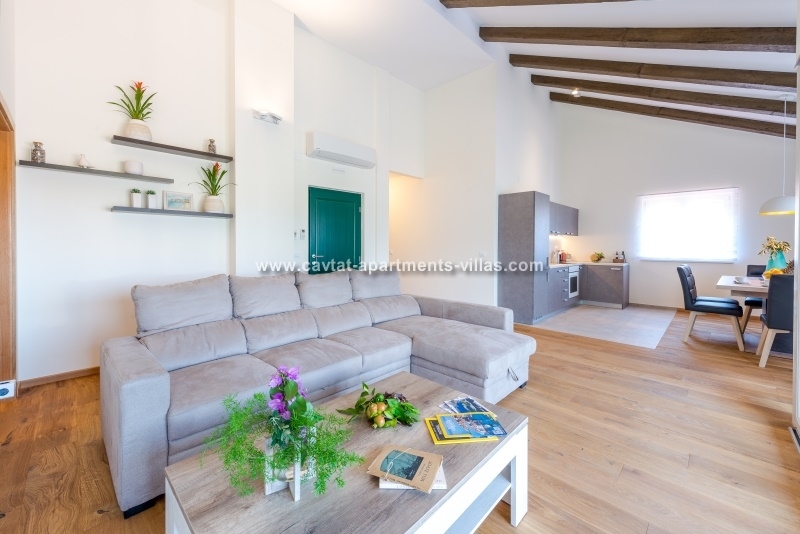 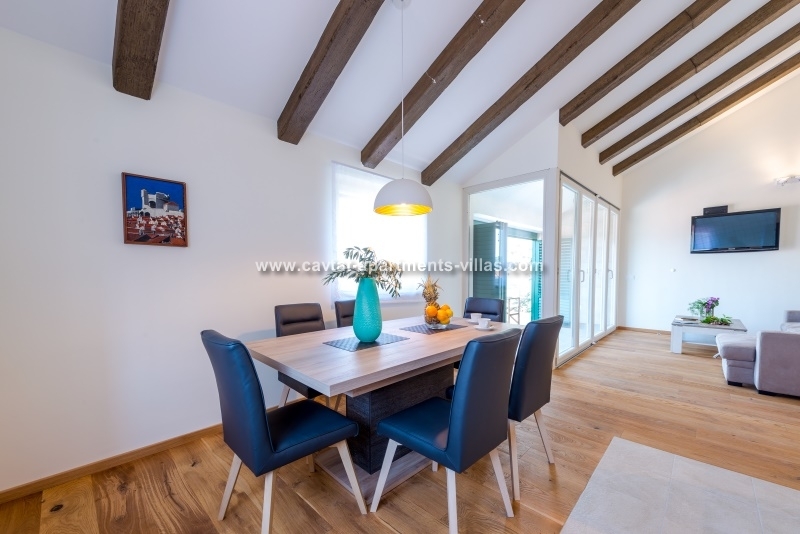 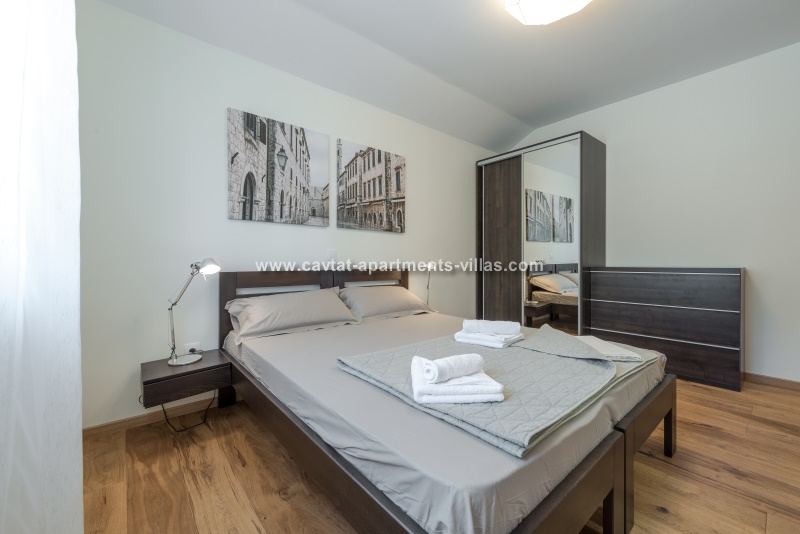 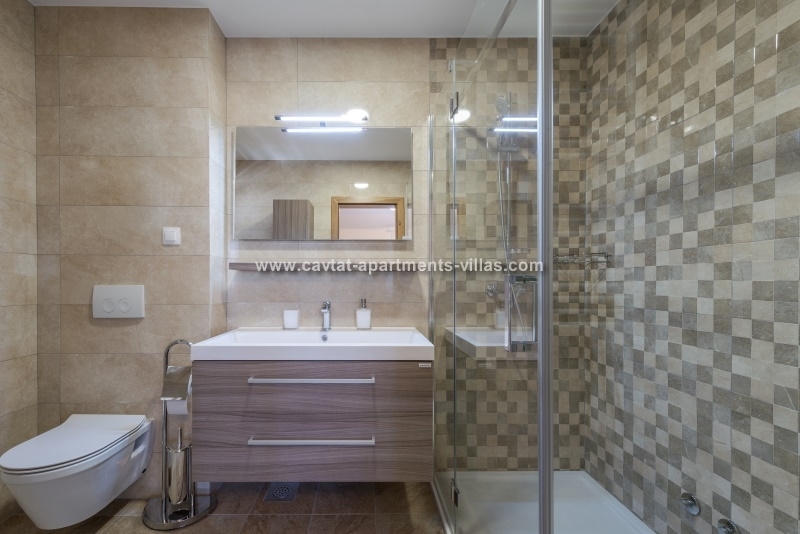 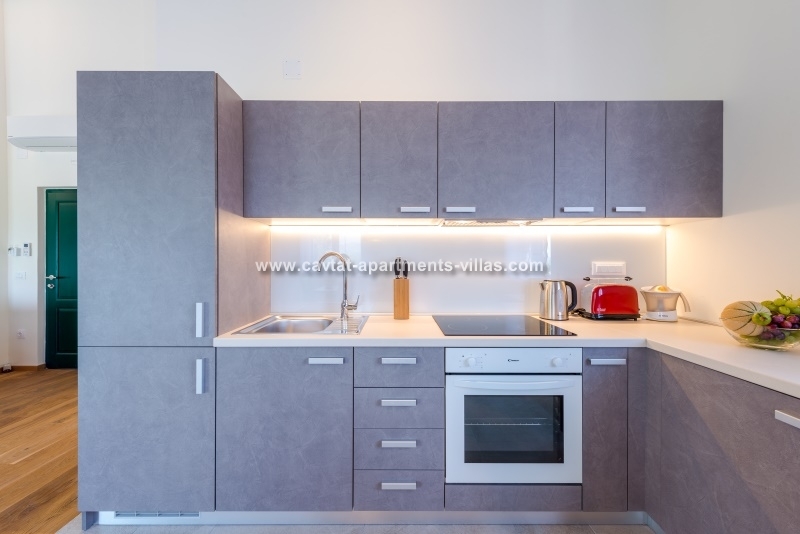 This central modern brand new apartment is a part of a newly build house situated only 3 minutes of walk from old town and within a walking distance from all important amenities. 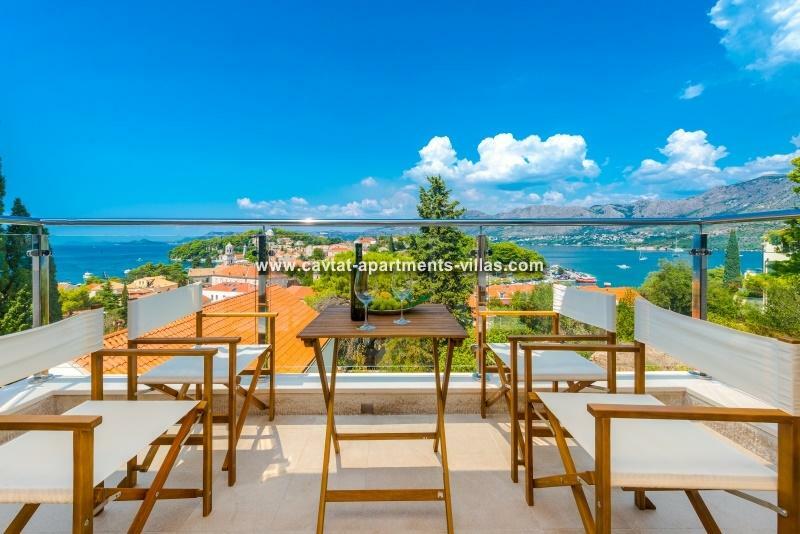 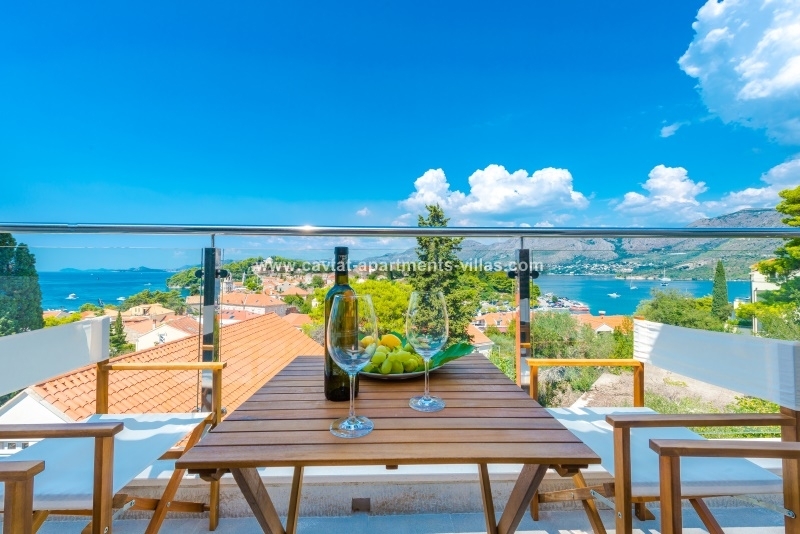 The fully air conditioned penthouse apartment occupies the entire top floor of the house and consists of 3 bedrooms (2 with double bed and 1 with two single beds). 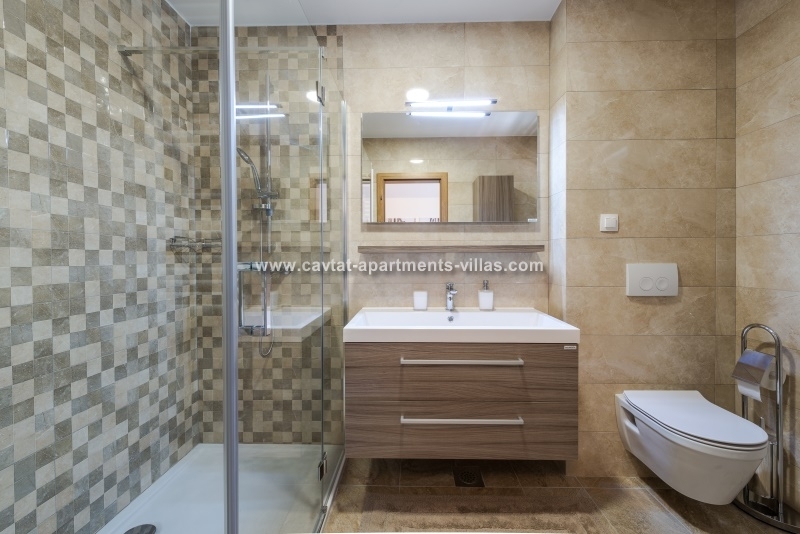 Each bedroom features an en suite shower room, Sat TV and an air con unit. 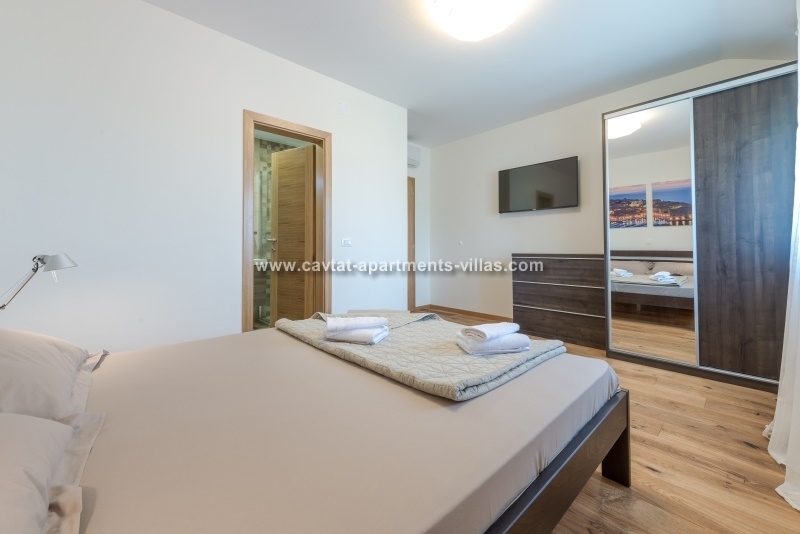 The apartments spacious lounge/dining/kitchen area has air con unit as well and features a fully equipped kitchen with a dining area for 6 persons. 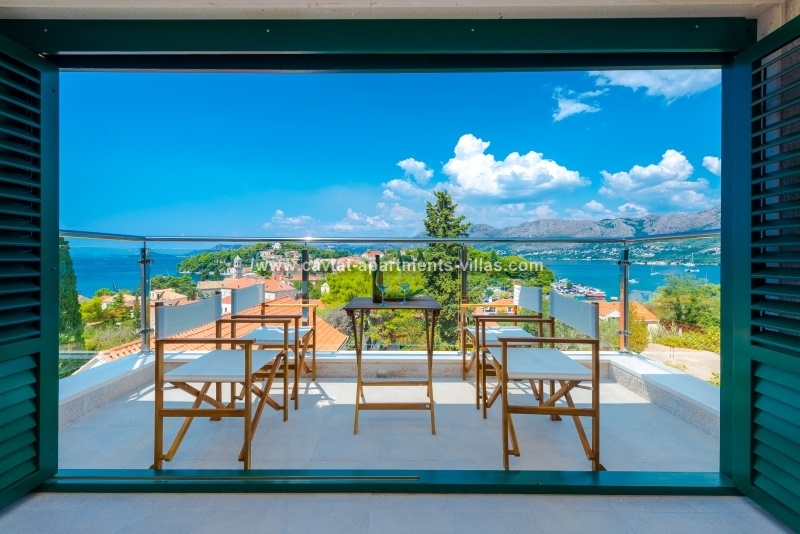 From the lounge area you can access the private furnished terrace offering stunning sea and old town views. 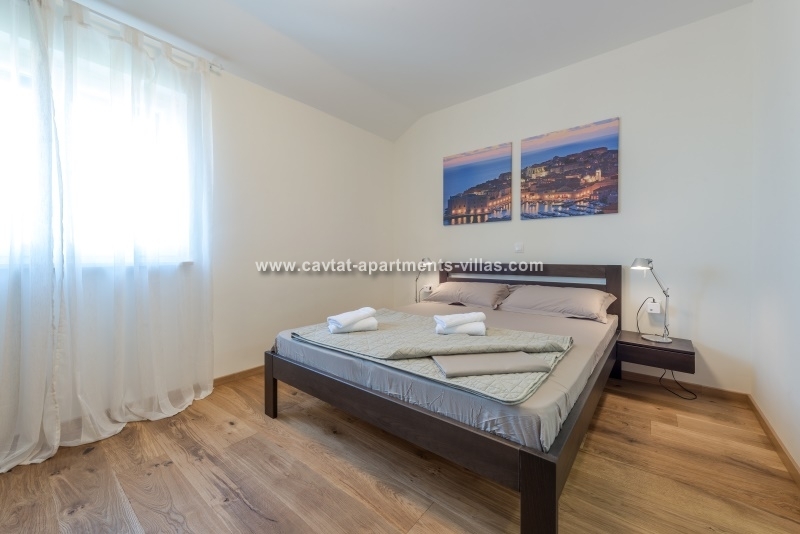 The apartment has access to private parking, free WiFi, Sat.TV, complimentary toiletries, iron/ironing board, hairdrier as well as a washing machine located in a shared area that can be used by all the guests of the property. 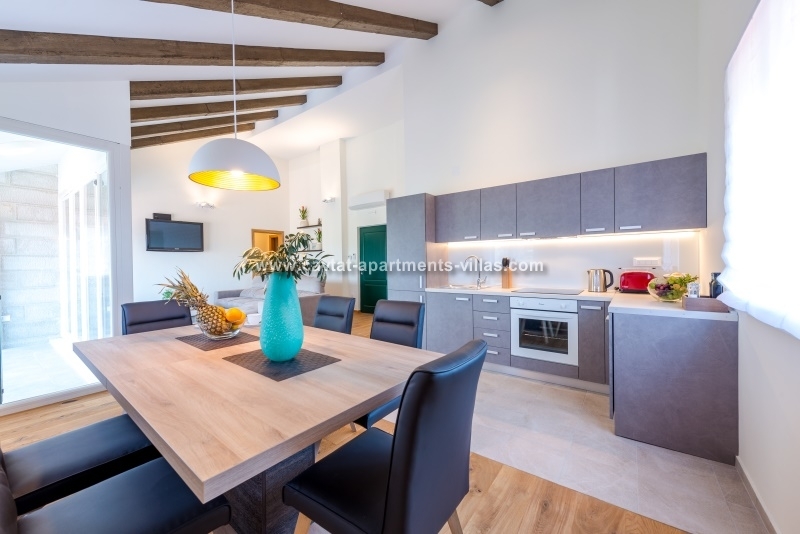 This apartment would be perfect for families or group of friends (3 couples as there are 3 en suite bedrooms) looking to stay central in a modern fully equipped apartment. 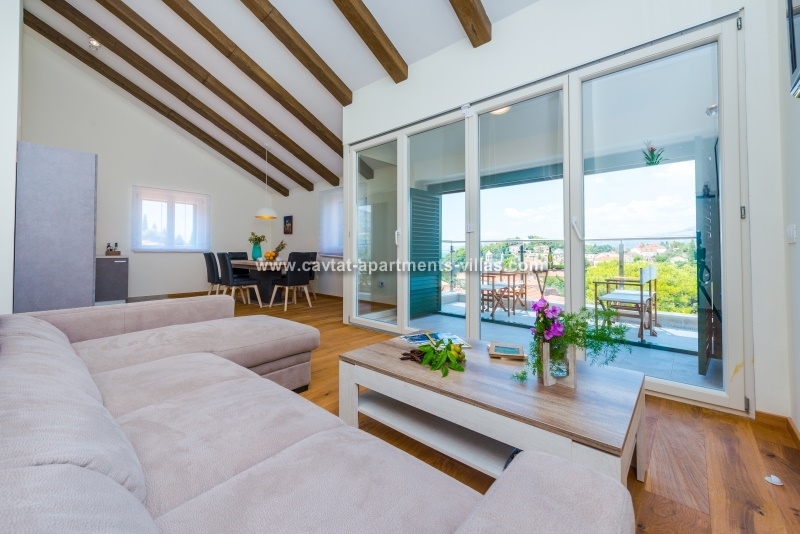 The house is located in the same same house as the 2 two bedroom apartments CT-A18 which can be booked together for stay of a larger party.